Acute Type A aortic dissection is a lethal condition requiring immediate surgery. 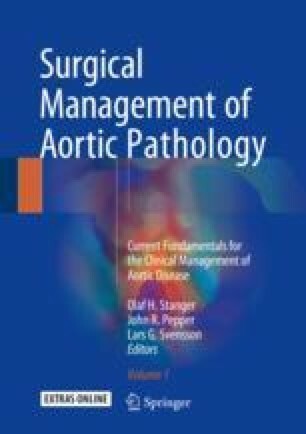 This chapter discusses strategies for improving diagnosis, early medical management, transfer and operative approaches. The experience is based largely on our practice in the Liverpool Heart and Chest Hospital and is a practical guide to achieving a series of marginal gains in every step of the pathway to create a system that is more than the sum of its parts, providing better outcomes for patients. In addition, we describe a series of Key Quality Indicators that may be used to monitor and improve a service. We would like to acknowledge several individuals who have been involved in data analysis including Mohamad Bashir, Mathew Shaw, Jaycinth Tan and Mike Roberts.